The Australian War Memorial May 2002 by John Loughman. John visited the Australian War Memorial this month and took these shots with his digital camera. 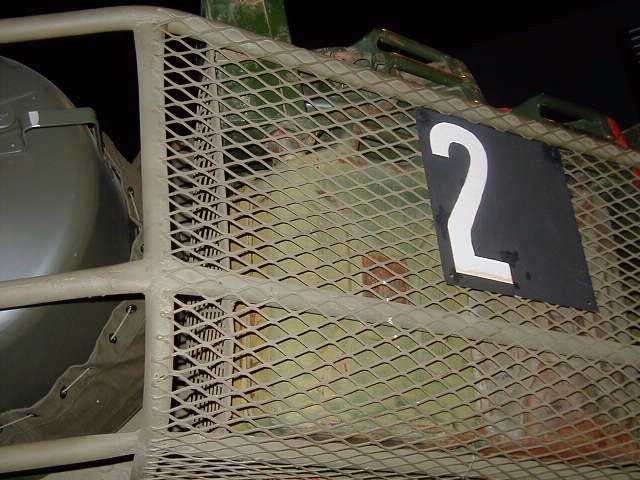 A close up of the rear turret basket showing the style of mesh used on this centurion. Note the manner in which the call-sign was displayed - a plate which could be moved from vehicle to vehicle if necessary. 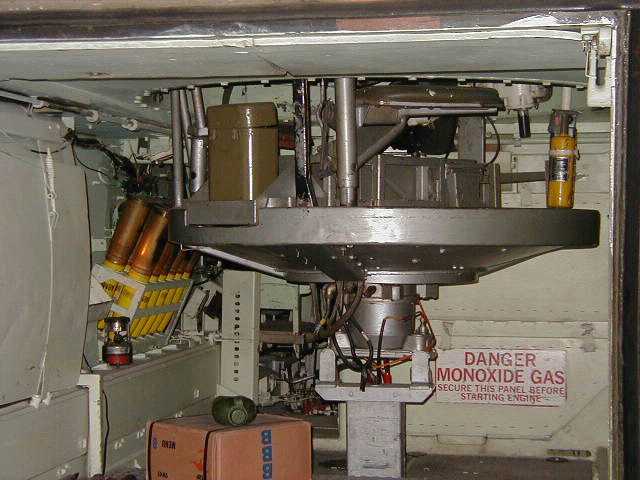 The business end of the Centurion. The image shows the 20 pounder Type B barrel with bore evacuator and the coaxial and ranging machine guns. 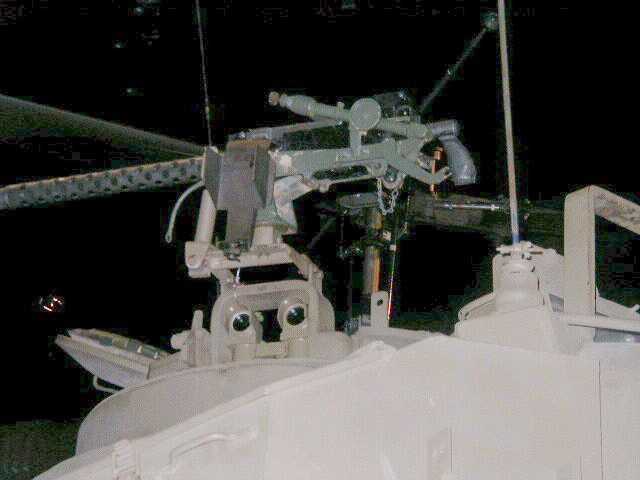 The commander's station machine gun. 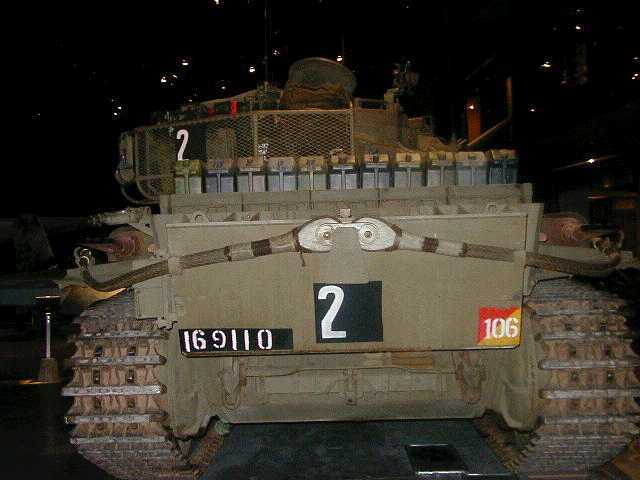 Rear view of the Centurion in Technology Hall at the AWM Canberra. 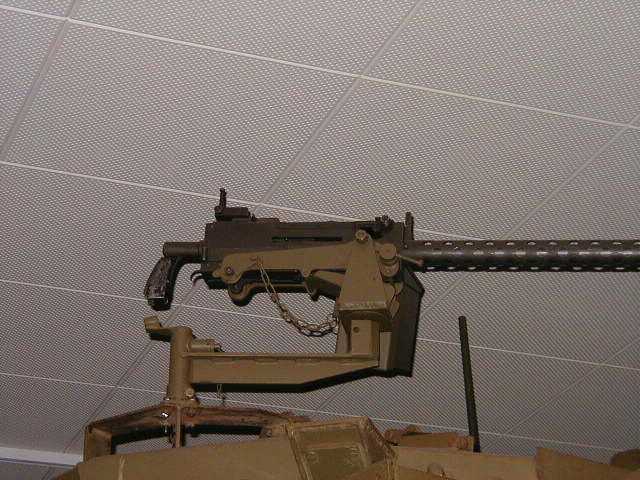 The 30 calibre machine gun mount on the M113A1 FSV six of which served in Vietnam. 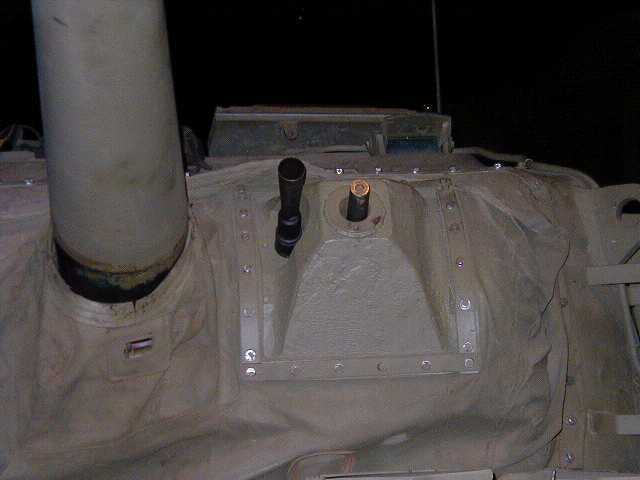 A nice clear shot of the interior of a Saladin turreted fire support vehicle based on the M1113A1 hull.